Griffith Construction, Inc. is your local and dependable handyman service company in New Jersey, specializing in all of your commercial and residential handyman repair and remodeling needs. As an owner-operated small business, Griffith Construction, Inc. does not need to pay a franchise fee. This allows us to offer home and business owners competitive and cost efficient rates. We are locally owned and operated since 1999. Over the years, Griffith Construction, Inc. (Griffith Handyman) has proudly invested in Hudson County, NJ towns and communities and established a loyal customer following. We understand that our customers live within certain budgets. This is why we work with you one-on-one to develop a plan based on their needs and financial means. You may be apprehensive to try a different company after a negative experience with a slow or incompetent handyman. You may also be tempted to try a handyman company that advertises incredibly low prices in coupon mailers. Before you make a move, take a look at Griffith Construction, Inc. and let us show you the Griffith difference. Arlington NJ, Babbitt NJ, Bayonne NJ, Bergen NJ, Communipaw NJ, Croxton NJ, East Newark NJ Greenville NJ Guttenberg NJ, Harrison NJ, Hoboken NJ, Hudson Heights NJ, Jersey City NJ, Kearny NJ, Marion NJ, New Durham NJ, North Bergen NJ, Port Johnson NJ, Secaucus NJ, Union City NJ, Weehawken NJ, West Bergen NJ, West New York. The bathroom looks great since you removed the wall paper and painted it. I will recommend you guys highly. Jim thanks for fixing our siding and foundation. I can’t say enough about your courteous crew. Everything came out perfect. I will recommend you to family & friends. Jim thank you so much for all of the remodeling work that you did to my house all of the rooms turned out fantastic. Mr. Griffith, I appreciate all the work that you did my rental house. The sheetrock repair and painting and trim work came out great. Can’t believe you repaired the holes in my sons room. Thank you so much. 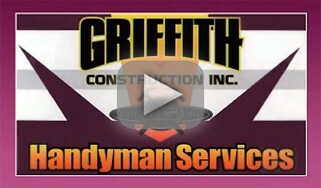 I have used Griffith Construction numerous times over the past 5 years. They have never let me down.